Hind Sbihi holds an Engineering degree from Ecole Polytechnique Montreal (B.Eng) and Ecole Centrale de Paris (M.Eng), and a Master of Science in Occupational and Environmental Hygiene from the University of British Columbia (UBC). Hind recently defended her doctoral work conducted within the UBC School of Population and Public Health where she investigated air pollution exposure assessment methods for birth cohort studies of childhood asthma and allergies. Throughout her PhD, Hind was supported by the Canadian Institute of Health Research Banting and Best doctoral award, the four year UBC doctoral fellowship and the Killam Pre-doctoral fellowship. In 2011, she received a David Bates Scholarship, a British Columbia air quality fund, which recognizes graduate students in the field of environmental and air quality sciences. 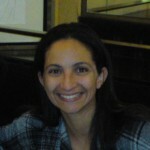 She is currently involved in the Canadian Healthy Infant Longitudinal (CHILD) study, and is examining the contribution of traffic-related air pollution to indoors exposures as well as the role of features of the built environment, more specifically air pollution, green and blue spaces, in the aetiology of childhood asthma. Hind is also involved in the Monetization project using BC Generations cohort looking at influences of the built environment on physical activity and how this relationship affects obesity and ultimately costs associated with obesity and obesity-related co-morbidities through linkages with health administrative data. Hind Sbihi’s research interests are related to methods to measure environmental exposures related to the built environment for epidemiological studies of children’s health. Assessing exposures is a key element that requires rigorous and precise methods to advance our understanding of environmental contaminants source-health effects links and to determine what aspects of the urban form should and could be modified to enhance the health of different segments of the population. Hind is responsible for ethics and data access approvals with BC Cancer Agency and Population Data BC. She has been tasked with preparing data for the BC Cancer Agency and linkage to Population Data BC. Hind will conduct epidemiologic analyses for the monetization project and will provide ad hoc statistical support for the HCD Lab’s various projects.